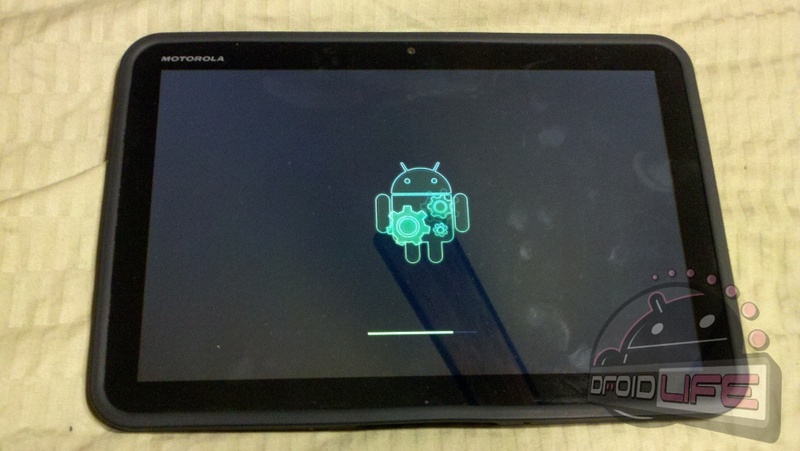 We were told yesterday by Motorola that the XOOM WiFi would see the newly released Android 3.1, but not for “several weeks” with the Verizon version set to see it first. Apparently they should have gone with “several hours” because users this morning are filling up our inbox with proof that their WiFi models are already being prompted for the update. If you missed any of our coverage at I/O, then you may have missed some of the goodies that will come with version 3.1. You can read all about it here. 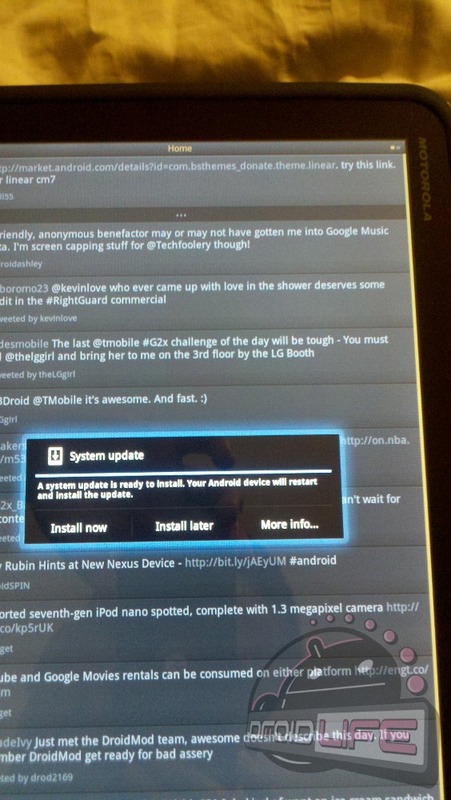 Oh and if anyone is wondering if this person just updated manually from a forum, here is the prompt they received on their device. It’s definitely rolling out. 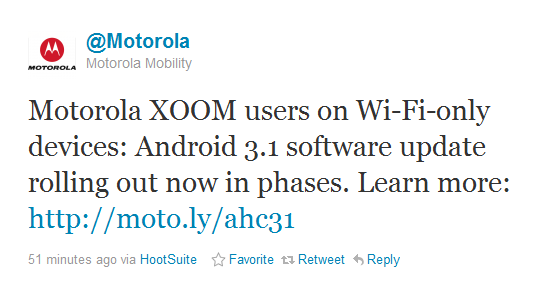 Update: And Motorola has now made it official. 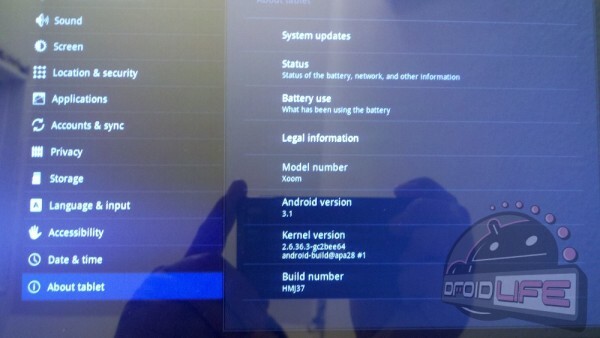 WiFi XOOM is indeed getting the update.